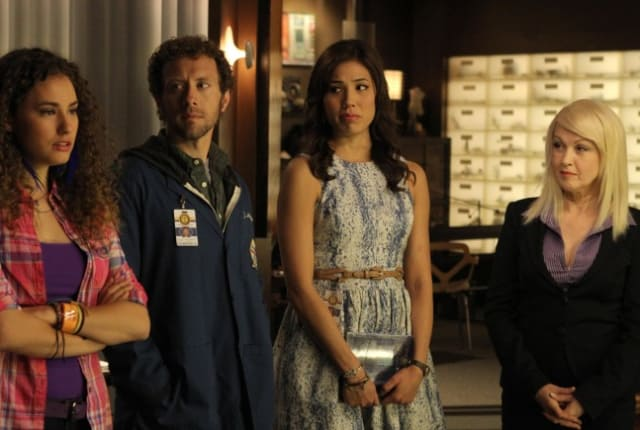 Watch Bones Season 8 Episode 9 online via TV Fanatic with over 8 options to watch the Bones S8E9 full episode. Affiliates with free and paid streaming include Amazon, iTunes, Vudu, YouTube Purchase, Google Play, Hulu Plus, Amazon Prime, and Verizon On Demand. When a psychic tries to help the spirit of a boy whose death the team is investigating, members of the team start to question their own feelings on life and death. Cyndi Lauper guest stars on Bones.